If I take a nap under my desk today, do you think anyone will notice? See that? Perfect little spot for some quality sleep. But don’t you think it’ll start some cool trend? Next thing you know, KA-POW, the whole office is floor-napping. In the meantime, let’s talk about friendship a little bit, OK? Last night, after a brutally tough spin class involving way too many hill climbs and screams of “quarter turn to the right!” I was treated to a lovely dinner by my college friend, Wendy. She invited Lauren and I over for some home-cooked awesomeness. We started with various cheeses, pita chips, edamame hummus, tzatziki sauce, carrots and celery. And wine. I ate it all. I barely shared. Well done, Wendy. Well freakin’ done. We all agreed that getting together and cooking (or rather, having Wendy cook while Lauren and I provide the wine and sit around doing nothing) is so much better than going out to dinner. It’s cheaper, it’s more casual and you know where your food is coming from and how it’s being prepared. Duh. You know this already. After stuffing my face full of edamame hummus (Seriously, Lauren and Wendy, did you guys even get any? I’m sorry. I never learned how to share.) I was almost too full for the main course. I made room in my stomach, though, because what Wendy whipped up was fantastic. Here is the food from a slightly-but-not-really different angle. Whole-wheat couscous with some stuff in it (I remember her saying feta cheese and red onion, and some other things — clearly I’d be an amazing food blogger), grilled chicken kebabs with some lemon something seasoning and shrimp kebabs with some stuff. You’re welcome for those very vivid descriptions of what I ate last night. You are now free to follow those exact recipes to recreate these dishes yourself. Oh but that wasn’t all. Wendy prepared dessert: ice cream sandwiches! Yes I will inhale this all in one bite. Thank you. And she didn’t even know yesterday was apparently National Ice Cream Sandwich Day. So not only was the food delicious, the company was even better. It had actually been years since I’d seen Wendy, and it was so nice relaxing and catching up. We got to talking about friendships, and Wendy brought up a really good point. She was saying that at this point in our lives, it’s nice that we get to choose who we’re friends with. Think about it: When you’re growing up, your friends are basically picked for you. Your parents put you in a play group or dance class or child cult or whatever with the kids whose parents they’re friends with, or the kids who live really close-by so as not to inconvenience the carpool. On the left you'll find Ryan. He's my big brother. On the right you'll find Child Ali. From the looks of it, this was a very one-sided friendship. Or you just hang out with your brother and hope he’s nice to you and buys you presents with his lemonade stand money. We get to be friends with people based on our common interests and likability. I mean, it’s obviously better for me if you also happen to live on the Upper East Side. That will increase the likelihood of us developing a lasting friendship. I’m so happy that I’ve met so many incredible people and found so many friends through blogging. That was always my hope, but I never really expected it. 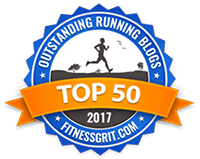 When I first started blogging I did it both to document my running progress and to meet people, preferably in NYC, who shared my passion for sweating. Major success. I’ve found lots of you! The first time I met Emily in person, her onlooking boyfriend assumed we were longtime friends. Mwahaha. 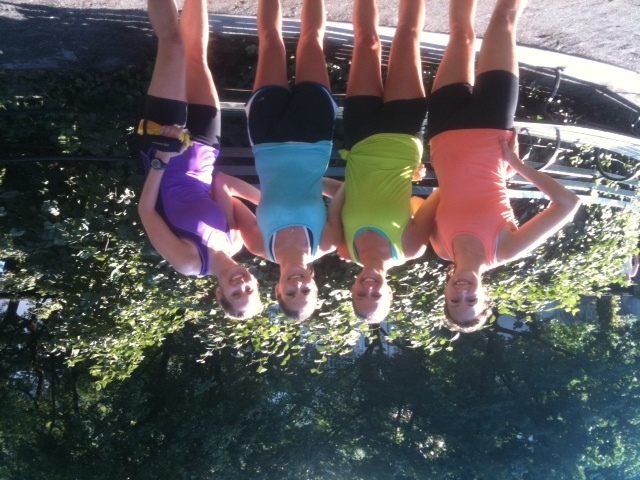 Megan, Lindsay and Kelly kept me company during a particularly awesome 15.5 mile run earlier this summer. Theodora and Tina drink and lot AND they're runners. So that's obviously fun. I love that I’ve grown close with so many like-minded people, so many of whom are also in the midst of marathon training right now and can understand what I’m going through and shed lots of light on it as well as offer tons of advice. This morning, as I dragged my lead-like legs through 6 miles around the Bridle Path with Kelly, Megan and new-friend Alyssa (so great to finally meet you! ), I realized that our conversations have definitely shifted since we first started running together. Central Park this morning: bustling, happy, lovely. The first time I ran with Megan, I was really nervous. I knew she was fast, I was afraid I wouldn’t keep up, I didn’t want to hold her back, and all that jazz [insert jazz hands and spirit finger action]. While we ran, we talked mostly about blogging: that was our shared interest, it was how we met, and we stuck to that topic as I recall. We didn’t get too personal. But today we all chatted about moving, track workouts (I clearly had nothing to add to that conversation because I was too busy wondering how far 1200 meters is), work things and eventually moved onto the subject of boyfriends and nice men who are good friends. This little morning running group — which I like to call the ever-expanding A.M. Sweat Squad — is turning into something way more awesome, and I couldn’t be happier. I’m getting so used to running with friends that I’m actually starting to get nervous about getting through 26.2 miles all by my lonesome. So Kelly, Lindsay, Megan, Maria, Susan, anyone — care to join me for some miles through the Hamptons on September 24?! Excellent. Thank you. So nice of you to volunteer. By the time I got home and showered this morning I somehow managed to find myself running quite late. I like the outfit I threw together though, because I pretty much like anything paired with a white button-down shirt. I feel like a librarian. But I'm not. And to top off the morning, I commuted to work with a nice boy. Time to rock this Wednesday. Coming up today: tons of deadlines, my favorite spinning class, dinner with a friend and hopefully more than 5 hours of sleep, which would be a major improvement for this week. WHAT ABOUT YOU? Do you run with friends or is solo-style more your thing? I like both! Running alone can be so peaceful and stress-free, but running with friends tends to make the miles go by so much faster! 39 Responses to "Everything’s Better With Friends"
If I wasn’t in a wedding the 24th, I’d be tempted to rock the Hamptons! I ran this morning, but on the East Side and it was super boring by myself. At least I had Taylor Swift and GLEE to accompany me. I like both too. I run with my boyfriend a lot (or, well, we start out together, and his speediness takes him away from me), and I also run with a group twice a week. It’s motivating for my tortoise self to run with others. Other randomness: 1) Your desk is WAY neater than mine. I should straighten up. 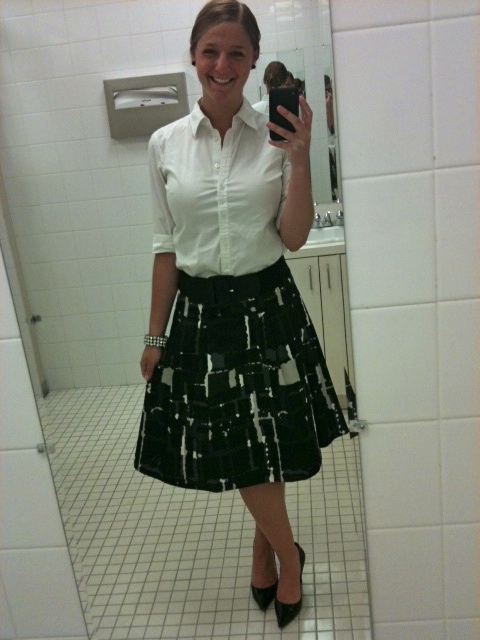 and 2) You dress WAY better for work than I do. 3 words: Christmas the fish. Also – friends are great and all, but they don’t beat up mean boys for you! One of my favorite things about your blog is that your sense of humor really shines through! Typically I run alone because A) I don’t really know anyone around my pace ( no comment about that pace- aren’t you proud?!) B) I don’t know anyone interested in running by me @ 5am but, I actually really like the solitude of it-its my time ( plus if I’m alone I don’t feel silly when I pull out random hand movements and little side slides while rocking out to a great musical theater number…) Although when my parents come to town my dad and I have been going for runs and that’s been really special. But that’s only an occasional treat. I do 80 percent of my running solo in the mornings. Over the past couple of months, though, I’ve convinced a handful of coworkers to join up for a three mile group run on Tuesday nights (yay!). I’ve also been doing my long runs alone on Saturdays, but that’s about to change this weekend, when I go for Day 1 of a local running club’s marathon training program. Anxious and excited! I usually run alone, mainly because I do not have any running friends in Staten Island (care to jump on a ferry and bus and meet me at 5am tomorrow?) 😉 I try to enlist my friend to come over on weekend to do long runs with me. I entice her with my big pool and adorable kids. (It worked for this coming weekend! Go me!) BTW – Your desk is SO clean! Can you stroll over to Flatiron and organize my desk? Running solo in the morning is relaxing though too. It gives me some “me” time thats sometimes hard to find any other time of the day. longtime friends…destined to be friends for life. potato potahto. I like running both alone and in a group, definitely a group for the long runs to make the miles fly by! Yay am sweat session! I am sad i’ve missed out the past two weeks and need to get back in on the action. I do most of my runs solo but am definitely looking to change that up. I also find it so funny how someone you’ve met like once (or never…) can just get together for a run and chat like you’ve known each other for years. I guess that’s the beauty of revealing your life through a blog! 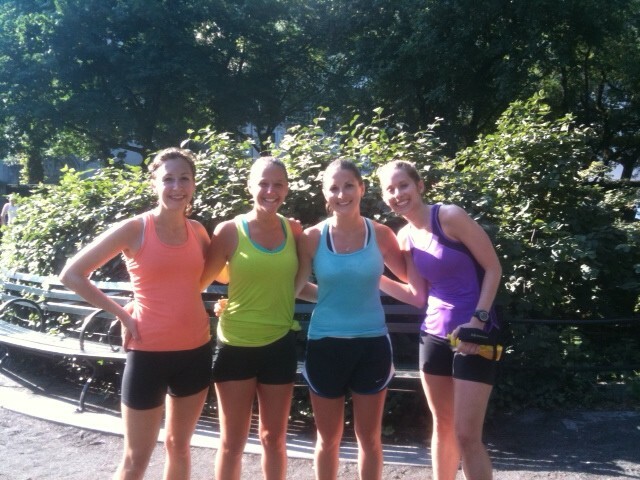 I never thought blogging or twitter would make it easy to meet other runners here in NYC, but I am so glad it has! 🙂 PS– that dinner last night looks amazingggg. My friends and I do a monthly cooking club like that, where someone hosts and cooks the entree and everyone else brings the apps, desserts, bread and booze! It’s so fun and a better/cheaper alternative to dining out. I never comment…but, this post topic was so timely for me! I like to run alone and with people. Also… I’m kinda going through a transition of sorts re: friends. I find I have much more enjoyable and chatty conversations and common interest with my running buddies whereas I have been struggling lately in conversation with other friends. Just growing apart, I think. Wendy sounds like an awesome host! And your workspace looks so nice… I’m in a tiny cube. I’ve always been a solo runner, but I’d actually love to start running with some buddies.. BTW, your friend’s bowls are freakin’ adorable! Love the little carrot. I’ve definitely taken naps under my desk… but I do have a door I can close so no one will see me. Have fun at spin today! Sad I won’t be able to join you. I used to run with my husband, but then he all of a sudden got superfast. So it’s great when I want a pacer, but I need to meet more people to just run with. I’ve started to go to the Lululemon Run Club in SF as an attempt to make myself a social runner, so we’ll see how that goes! Just curious – do you spin in addition to running every day? Nooo definitely not every day! I usually spin on Mondays and Wednesdays. Yesterday I went because, to be totally honest, I was having cramps and knew that would make them go away. It’s like magic. But Coach Cane has made it pretty clear that if I want to become a better runner — which I do — I should cut way back on the two-a-day run + spin workouts. It’s hard to quit, but I’m trying! I love running with friends the best but sometimes it’s nice to just get out there on your own. I’m a solo runner but I really see the value in running with people. I’d like to run with you guys one day but of course, I’m afraid I’ll hold everyone back. haha. Hopefully, one day I can meet you guys for a run but you’re so far ahead right now with marathon training. I like running solo when I’m doing shorter runs, but during longer runs, it’s definitely nice to be running with friends. Even if you aren’t talking the entire time, it’s nice to know there’s someone next to you to distract your mind from any of the potential challenges of a long run. After you started blogging, when did you start meeting other bloggers IRL? 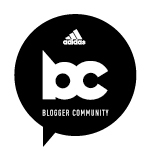 I started my blog in October 2010 and that November went to my first blogger meetup! 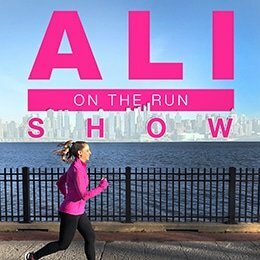 Ali you are so freakin’ awesome! the end. ps. I love your skirt where is it from? The skirt is old school Express. I think I got it two or three years ago. September 24. Do it. Holy crap. You could run ALL 13.1 miles with me to start, cross your finish line, then loop back and run the REST with me. IT’S SUCH A GOOD PLAN. I NEED at least 8 hours of sleep, I have NO idea how you manage!! Love dinner with friends….and yeah, my descriptions of food and meals are pretty slim too. Hah. I would love to run with friends!! But I haven’t found any!! Any Seattle runners out there??? Lovely post like usual!! I debated about this for awhile and joined a running club last week and loved it! Unfortunately, I didn’t make it there today : (. But I am definitely going to try and keep it a regular thing. Like you said, running alone is peaceful, but it is definitely nice to have friends sometimes. I think it also allows you to push yourself more. wendy looks like quite the cook! homemade ice cream sandwiches are the best! I don’t have running friends! I need them for the days i don’t want to get out of bed… which let’s be honest, has been everyday for the last month. I do enjoy running alone sometimes though – it is nice to just be alone with nothing but a view of the city skyline and lake michigan… set to the sounds of b.spears of course. Heaven. PS – I totally consider taking naps under my desk, a la George Castanza, like EVERY DAY. I love that you have an AM Sweat Squad. I’m pretty jealous. I remember when you never ran with people, so it’s fun to see that you’ve got a great group of ladies to sweat with now. And how nice that you had the chance to reconnect with old friends, too. Food and friends…nothing better! I am way to slow for my friends to run with…plus I kind of like running by myslef..it helps me get my thoughts straight.